Nicky Uy’s work has primarily been around opening and strengthening farmers markets in areas of high need, with over 80% of The Food Trust’s 25 markets located in areas that lack access to fresh food. The Food Trust has been offering EBT through wireless POS machines at its farmers markets since the early 2000’s and also operates the largest outdoor farmers market in Philadelphia’s Society Hill. 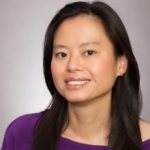 She hopes her experience growing and operating a network of farmers markets in communities with a wide range of diversity in income, population and resources will continue to be valuable to the Farmers Market Coalition board and its members. Ms. Uy would also like to help expand the audience of farmers’ markets to make them more inclusive of traditionally marginalized groups. She thinks supporting and encouraging minorities and other previously socially disadvantaged groups to attend farmers markets as producers and consumers would be beneficial, not only to those groups and individuals, but to the local food movement in general which needs to be more inclusive on all levels, from production to retail, in order to succeed and support recent growth. a) Lack of diversity on the grower side and more support needed for socially disadvantaged farmers and producers such as minorities, women and veterans. More outreach and access to loans, grants, and training for traditionally marginalized groups is necessary. 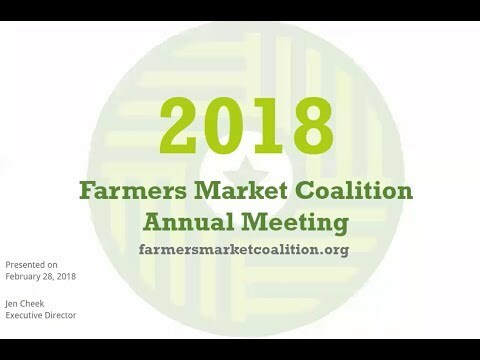 b) The need to be more inclusive in as many ways as possible is key to the continued growth and success of farmers markets, especially as more farmers market operators and farmers are able to access USDA funds and other resources that allow them to operate farmers markets and offer EBT. Farmers markets have the potential to be a gathering place in a community. Farmers markets can continue to grow their audiences by listening to what their customers and communities need and by including programming for individuals who have not previously been able to prioritize shopping for local food and/or healthy eating. Being inclusive of all potential customers in the community being served is necessary and crucial to the growth of farmers markets. c) Connecting farmers markets and their operators to more institutions, government agencies, and strong on-the-ground partners. The farmers markets with the largest potential for growth are the ones with the strongest partnerships. Seeking new partners and strengthening existing ones allow markets to retain and grow their customer base to include new audiences that their partners reach. In the past five years, farmers markets have become more recognized as an effective public health intervention and the challenge now is to connect market operators and growers with institutions who are new to this approach to leverage partnerships that support farmers market growth.